I have never been a huge fan of the plastic cases that I currently use for the Retro Box. However, when I started this business, they were the best I could get, for the budget I had, and I could get them reliably wholesale. In the past few months, the price of some of my components has started to inch downward. Rather than doing the sensible thing, and pocketing the difference, I have decided to improve the Retro Box with a new standard case. From this point on, I will be using cases from Micro Connectors. 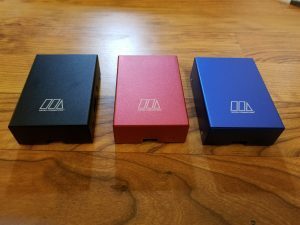 These are slick, aluminum cases, available in black, blue or red, see the photo below. They are more expensive than the plastic cases, and more work to assemble, but they give the product a more polished, professional look. Because I don’t want any of my existing customers to feel like they received something less than, if any of you want to upgrade your system to the newer case, simply send it to me for a replacement. Include a padded, self addressed postage paid envelope to return it to you in. Please send $15 in cash or check to cover the cost, and a note specifying the color you want. I have about 10-12 of the old style plastic cases left, and since I would rather sell them than throw them away, I am offering a deal. 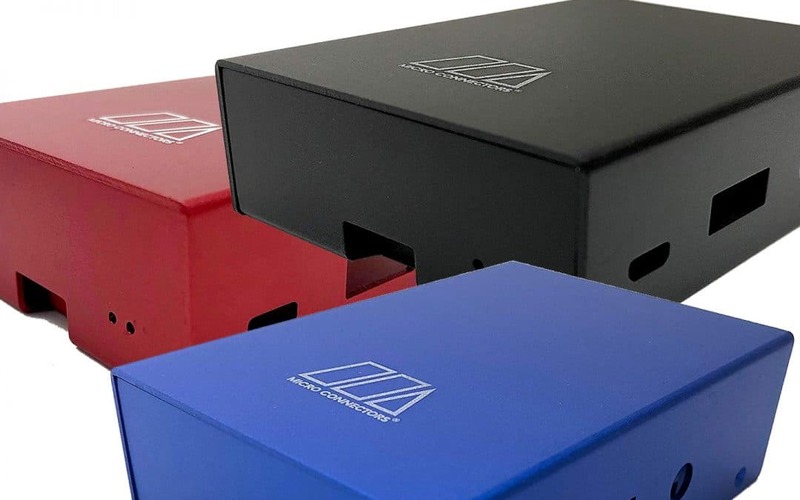 Use the promo code SURPLUS when ordering a Basic or Loaded box from my website, and I will include the original plastic case, and take $20 off the cost of the unit.